Update to my last post. My infection seems to be gone, and I am feeling much more normal. My legs are a lot stronger, but not quite pre-infection strength. One of the necessary evils of being a writer is to engage in "shameless self-promotion." But, as someone who survived a spinal cord injury (SCI), and experienced a significant recovery, I've always been forward to sharing my story(ies). Pennant Race Prediction - Dodgers Trade Puig? The Dodgers called up another outfielder from the minors. But the Dodgers have plenty of outfielders already, albeit, injured. But still, they have plenty of players who can fill in until those players (namely Joc Pederson) come back. Although I walk around pretty normally these days, it feels different. How different? Being a big fan of the "old" comedy troupe, Kids in the Hall, here is a clip of how my legs feel on a normal day. For the record, here are my picks for the 2016 season. I wanted to post this prediction before the first game of the regular season especially since I seem to be going against the grain. Rubio/Cruz ticket for GOP in 2016? A Rubio/Cruz ticket for GOP 2016? 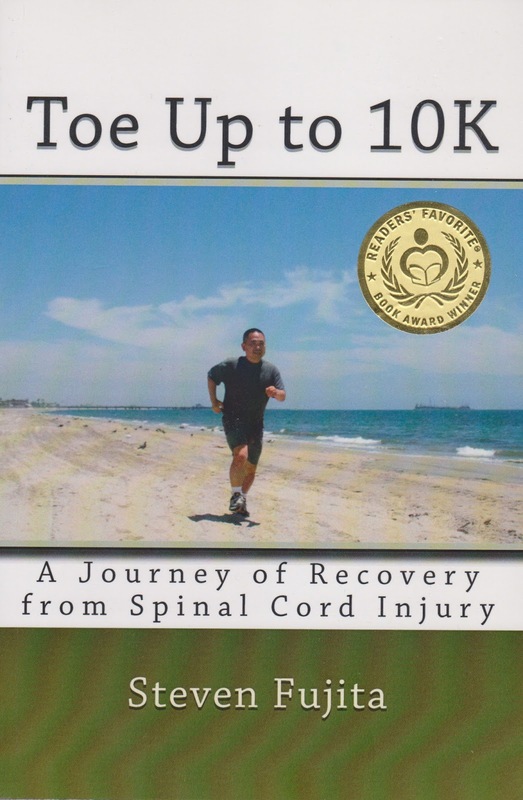 My book on my journey of recovery from spinal cord injury, Toe Up to 10K, has won a Gold Medal in the 2015 Readers' Favorite Book Awards.